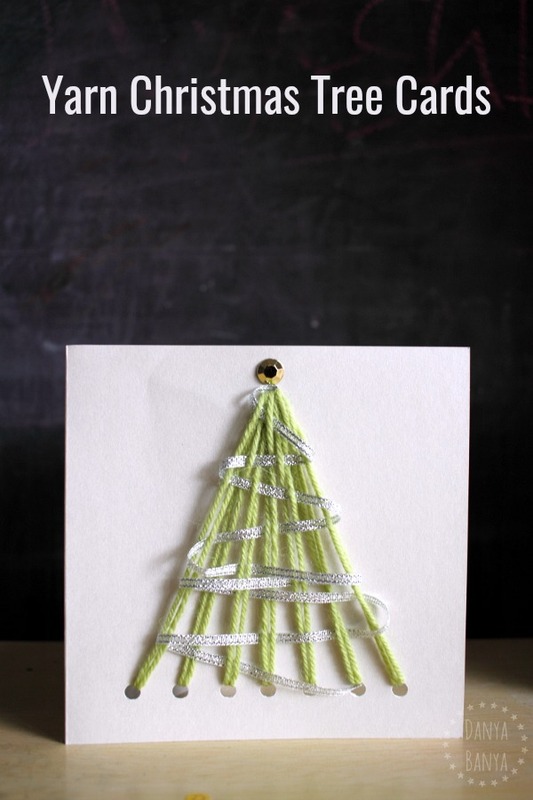 Easy yarn Christmas tree cards that kids can make! 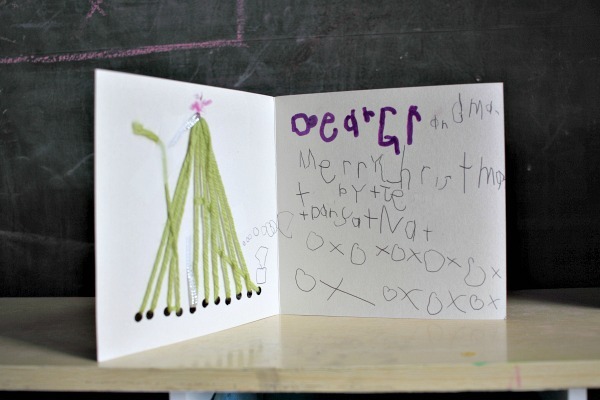 Every year we make DIY Christmas cards for our friends and family. 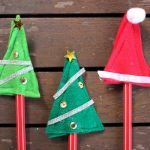 Previously we’ve made Christmas lights cards, bubble wrap print Christmas tree cards, paint colour swatch Christmas tree cards and ribbon Christmas tree cards. 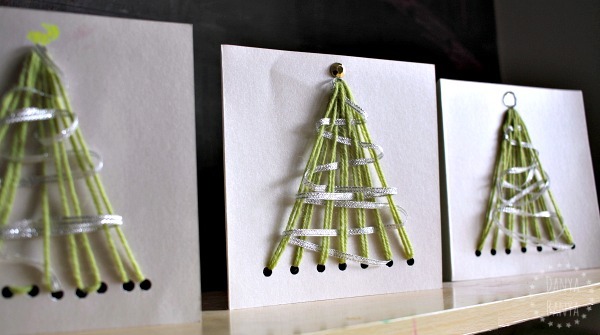 And these DIY yarn Christmas tree cards are our latest addition to the collection! 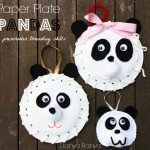 My kids just love sewing with yarn needles, so I knew these cards would be fun to make! 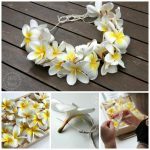 And I always love having something homemade for the kids to give at Christmas time – it’s much more meaningful, don’t you think? To prep, I threaded a blunt yarn needle onto a long piece of green yarn. Threading needles (even large-eyed needles) is tricky for little kids, so I did this step myself. But everything else the kids were able to do, pretty much all by themselves! 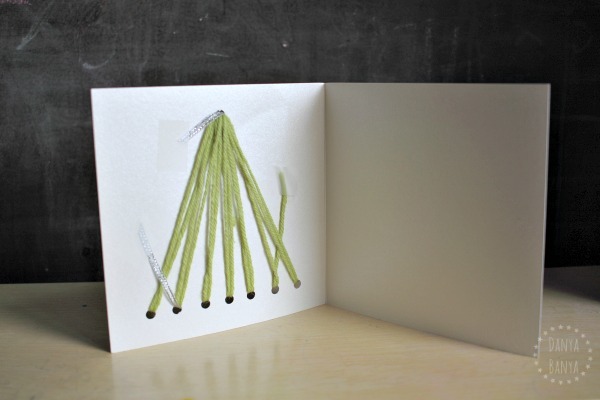 The next step is to use a single hole puncher to punch one hole in the top centre of the card, and a row of holes along the bottom of the card, trying to make them evenly spaced. 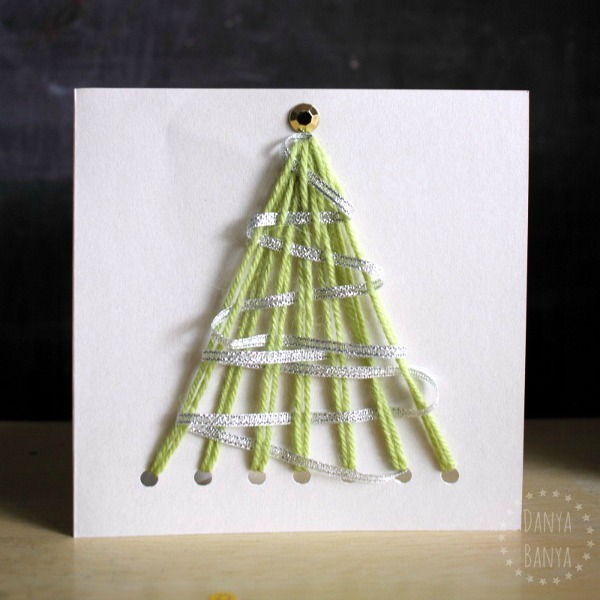 After this, use sticky tape to secure the end of the yarn to the inside of the card, and then, using the yarn needle, thread the yarn through the bottom holes and top hole, to make a tree shape. 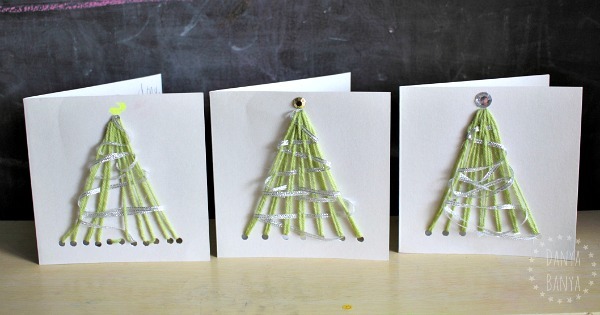 Then, gently weave silver ribbon from the top to the bottom, to look like tinsel, taping the ends on the inside of the card too. 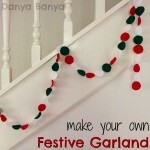 The kids had to restrain from pulling the ribbon to hard while they were weaving, or else it would bunch up the yarn. Easily fixed if they did, but it was a good lesson in restraint! This was a great chance for the kids to practise their threading / hand-sewing skills. They’re getting better at it, and I love seeing the look of concentration on their faces as they ‘work’.